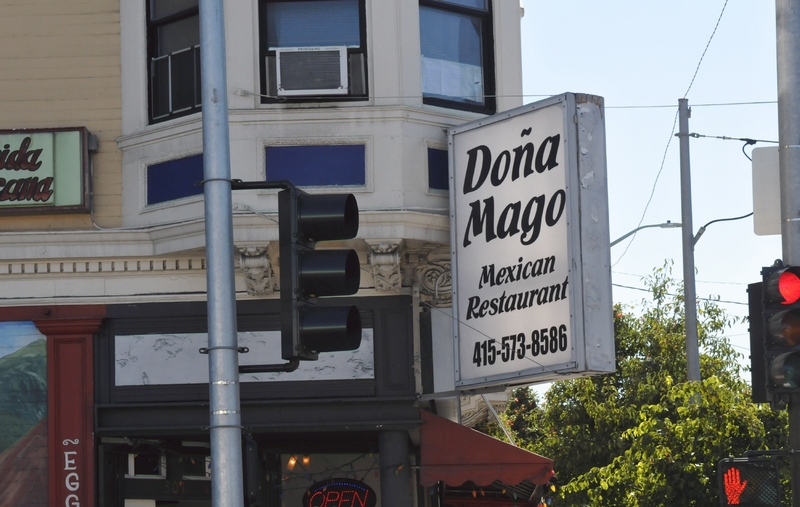 The sign for "Doña Mago Mexican Restaurant" was over the doorway. 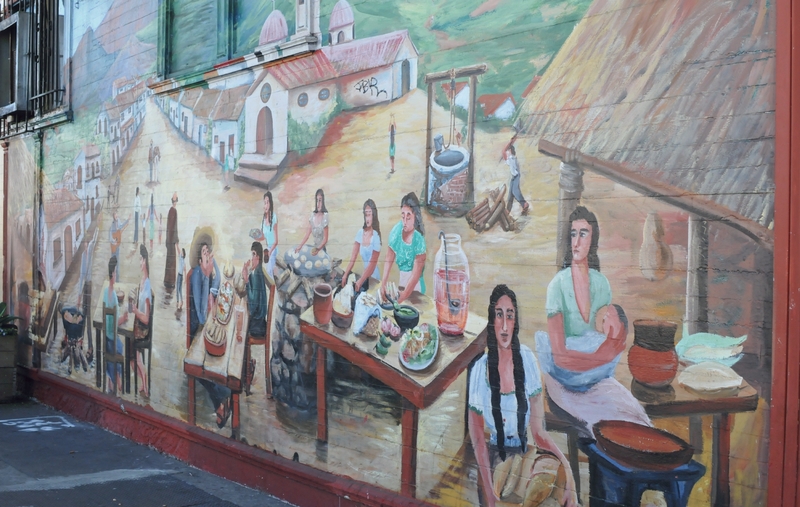 The mural (artist unknown) was painted to the left of the entrance to Doña Mago Mexican Restaurant. 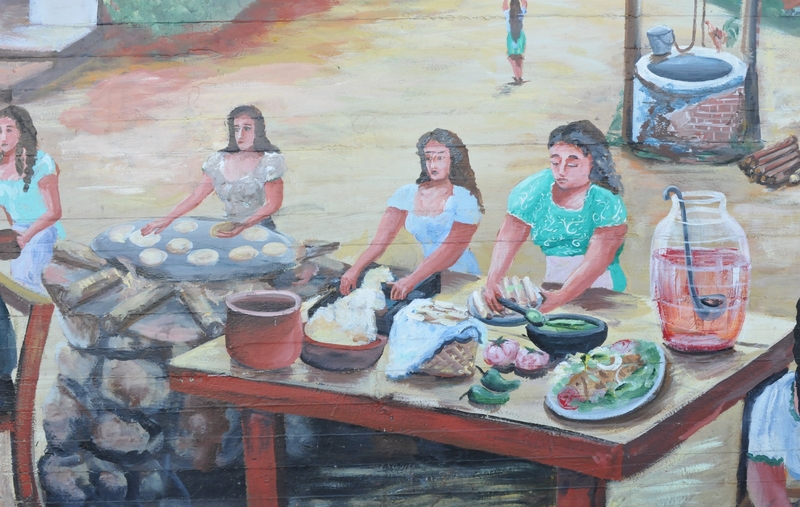 It depicted a rural scene in Mexico. 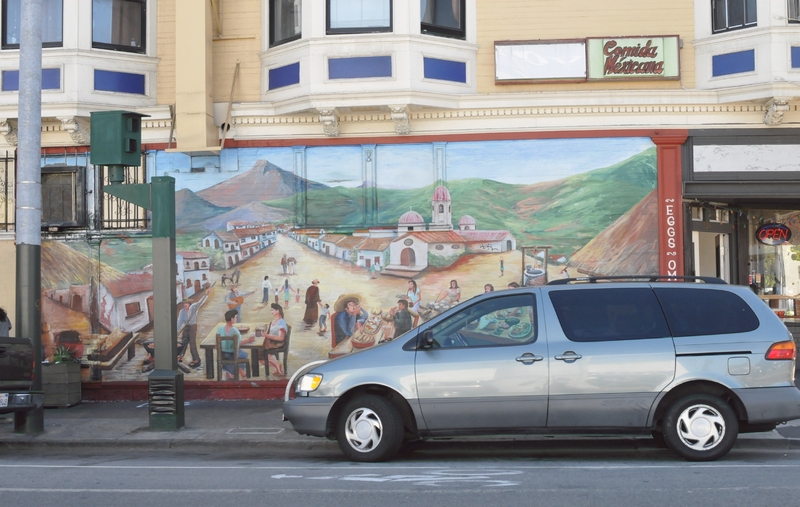 Upon casual glance, the mural seemed simple. But by pausing to gaze closely at it, it turned out to actually be complex. 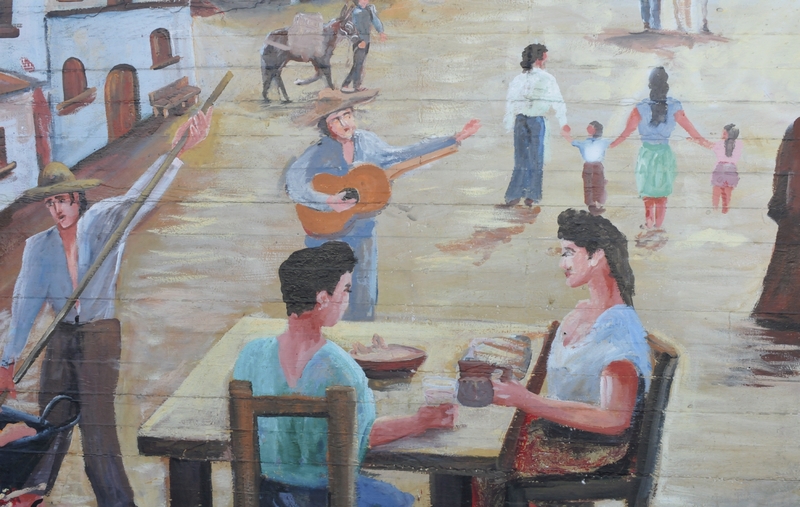 A man playing a guitar serenaded a couple dining together at a table. A man carried a load on the back of his burro, as they walked the lonely road home. 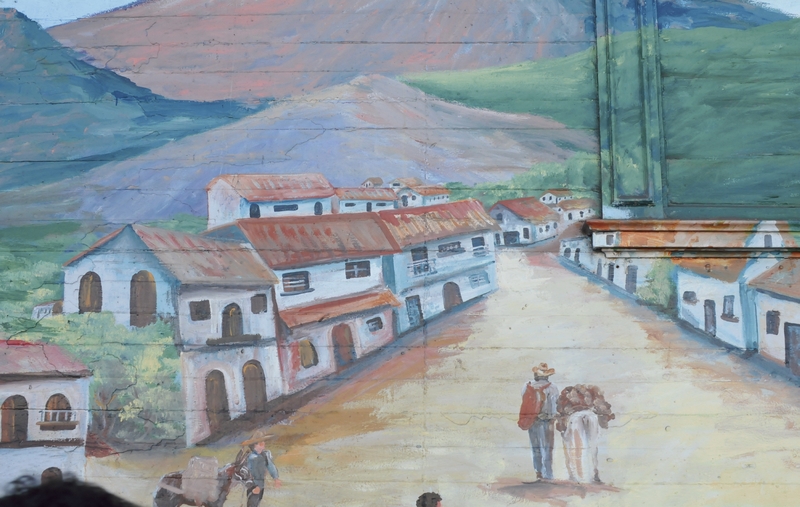 Note that the mountains were painted over a window. 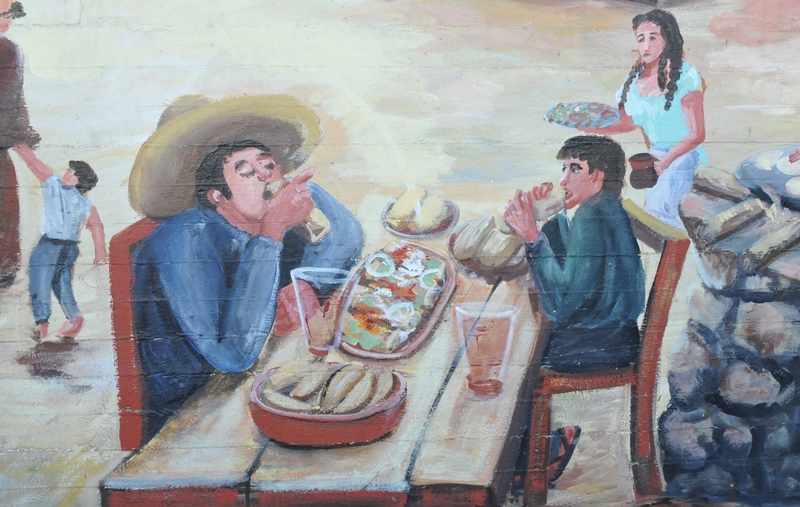 Two men stuffed their faces with food as a waitress carried more food to their table. Only the women prepared food. One woman slaved over a hot stove. Another rolled tortillas from stiff dough. A third arranged food on a plate. 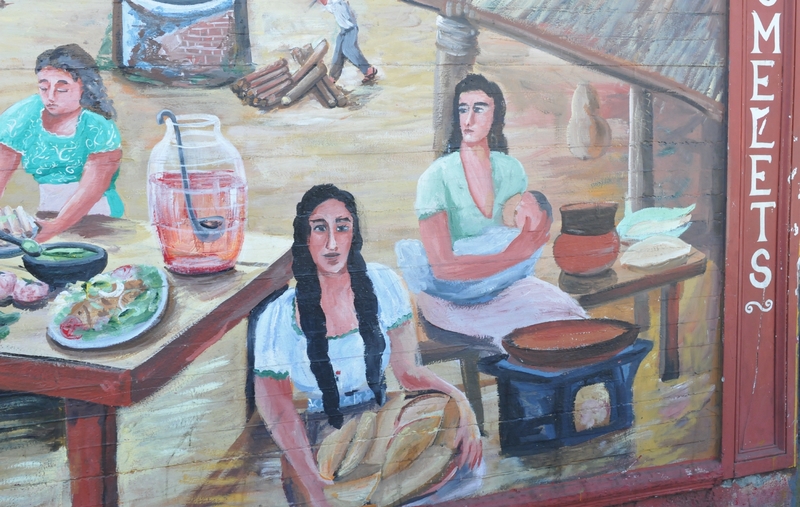 One woman cared for a baby, while another carried a tray of food almost out of the mural and onto the sidewalk. 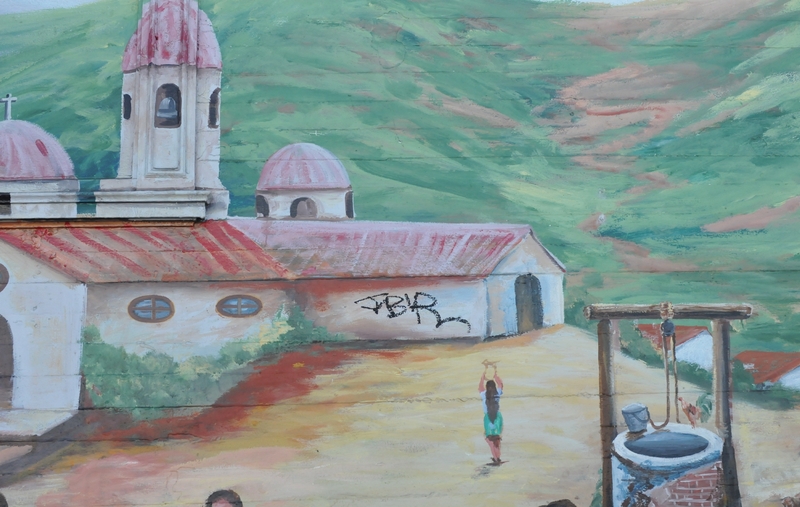 Graffiti was drawn on the side of one of the church buildings. A young girl appeared to worship the graffiti.